Hello peach and apricot fans! 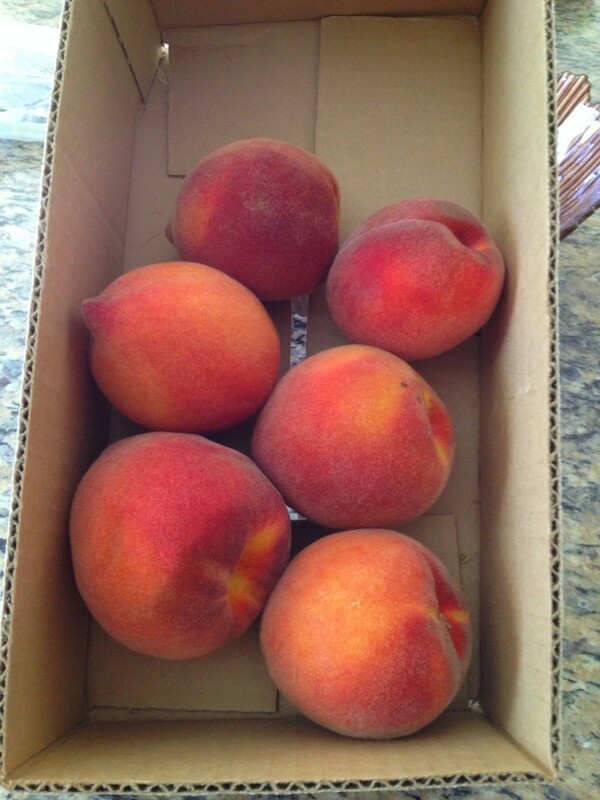 It is almost that time – one of our favorite times all year – we are a few weeks away from peach and apricot season at Promacks Farm! Stay tuned for updates here and on our Facebook page. 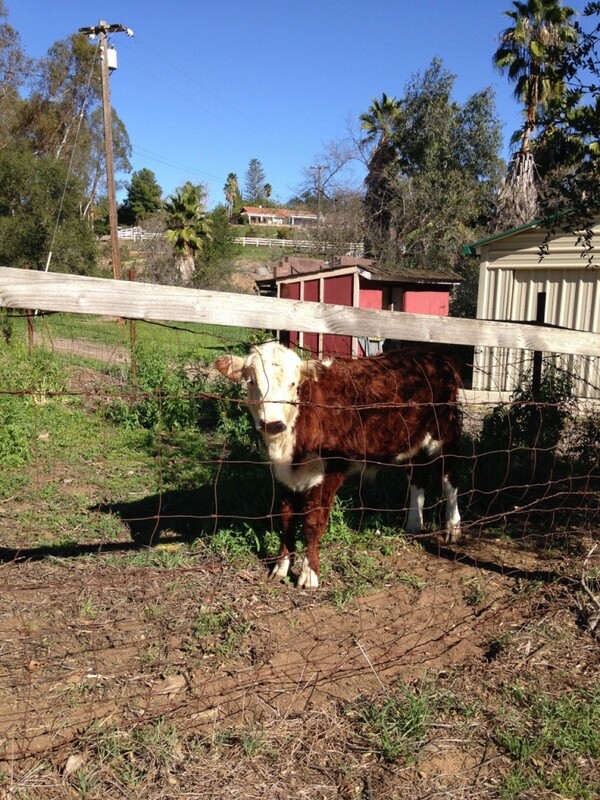 We look forward to seeing you at the Farm! 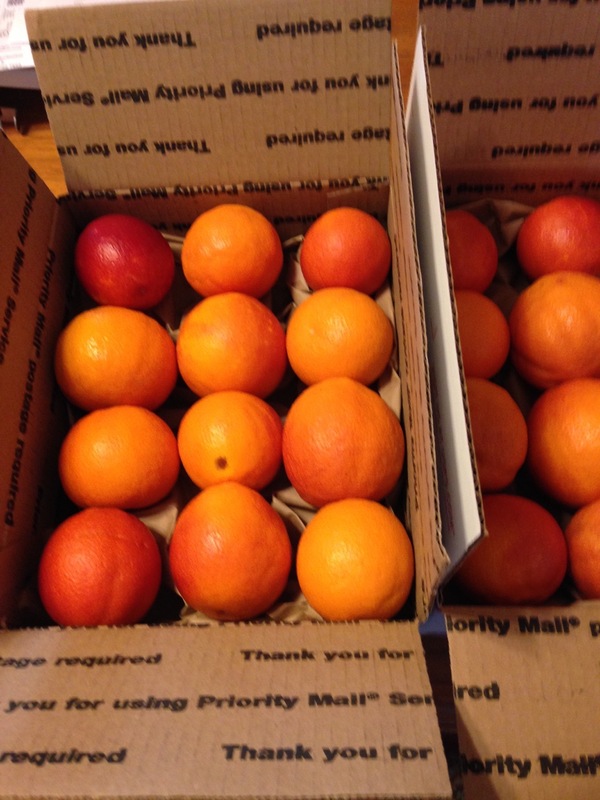 We are still picking and shipping our Moro Blood Oranges. 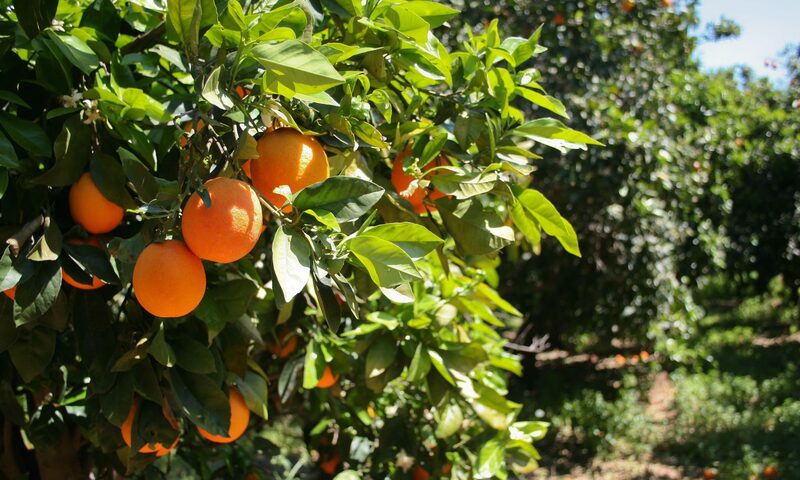 The late harvest oranges are deeply colored and deliciously sweet. There is still time to get your order in. there will be lots of apricots to pick in June! Hard to believe it is already the middle of February. Sure doesn’t feel like February here… we’ve skipped right past Spring into Summer this week – it is 90 degrees outside! The bees are busy in our peach trees. 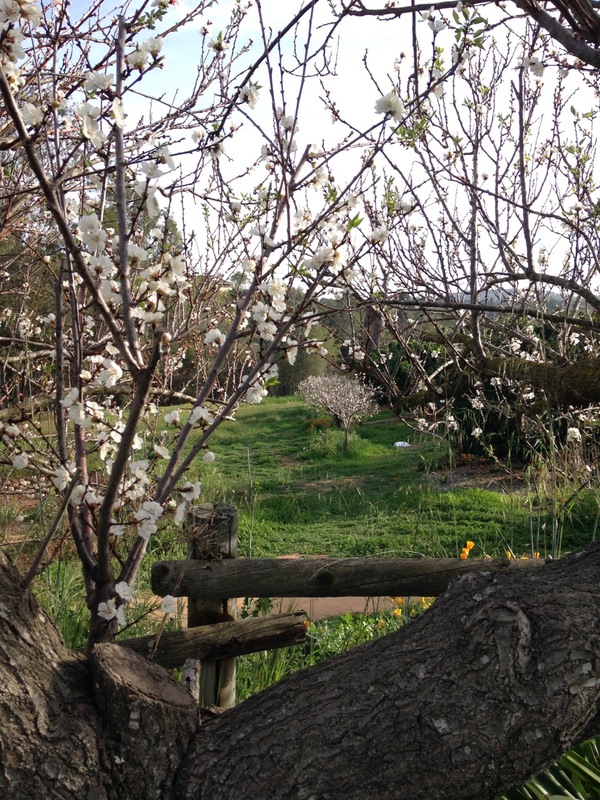 The trees are in full bloom and we are looking forward to a mid-June harvest. Lots of Moro blood oranges still in our trees. The fruit is very colorful, sweet and juicy! Available at our farm or through our online farm store. Our new 6 month old steer arrived on February 9th. He will be with us for the next year. Thank you again for all of your support. 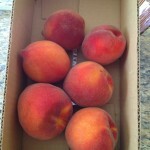 Stay tuned for more info on our approaching summer garden and peach/apricot harvest. The peach and apricot season came and went in a hurry this year. A combination of weird weather (hot hot hot and then almost freezing, then some rain, then some intense heat again) plus large amounts of bees enjoying our fruit led to a very quick peach season. We had another successful year of the fruit stand, saw many of our favorite customers that stopped by to chat. While the season was quick, the fruit was delicious like always. 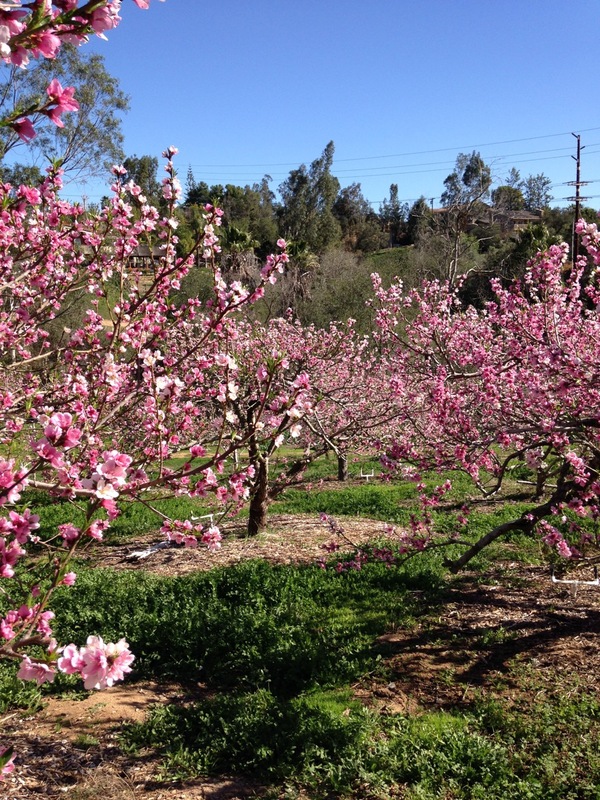 With the prediction of a heavy El Nino for winter 2015-2016, we are hopeful for some more-traditional stone fruit weather and happy trees for the 2016 peach season. 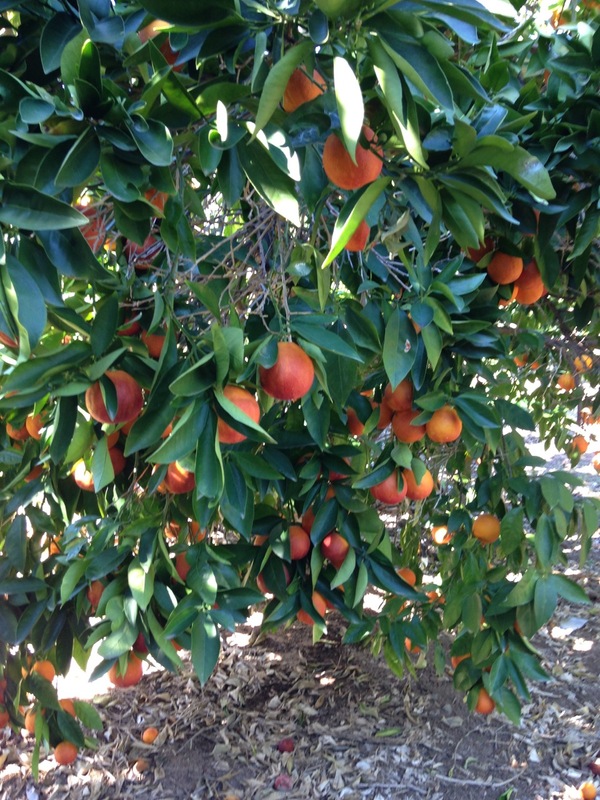 See you for blood oranges in January 2016. Another successful peach season has now come and gone. Thank you to all of our customers, we love seeing you at the fruit stand. Til next year! 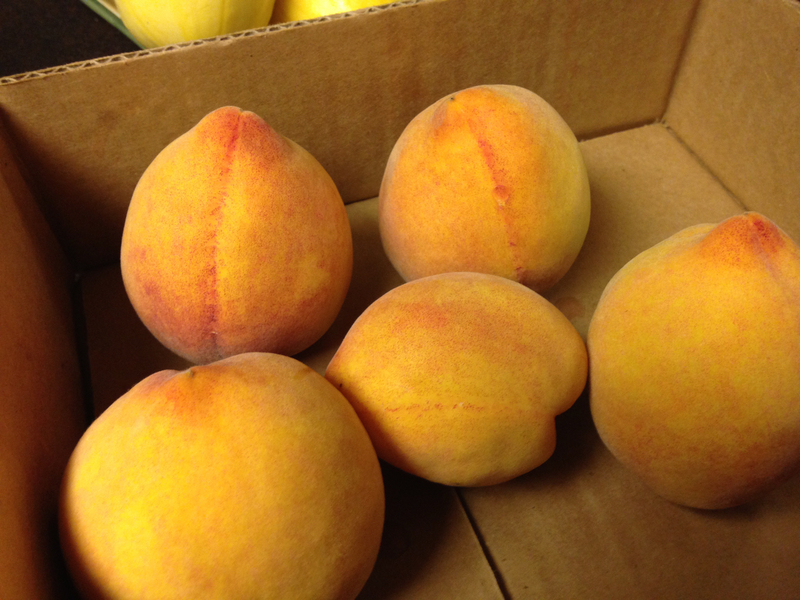 Our favorite time of year is finalllllllly here… the peaches are ready! 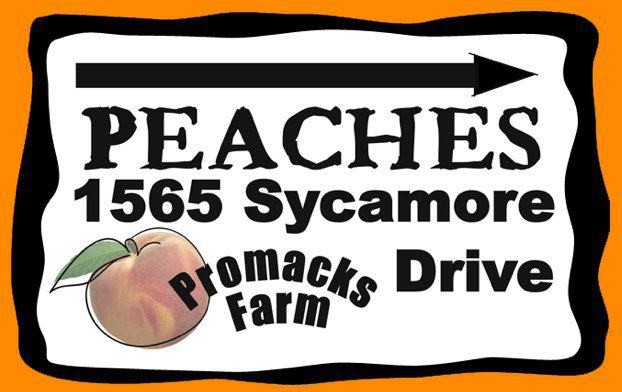 Head to Promacks Farm daily, 9-4, to pick up some delicious, fresh, TASTY peaches. See you on the Farm! 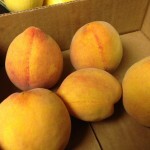 Lots of peaches until about June 29. But the apricots are all gone. Plenty of grapefruit and blood oranges and a few plums. 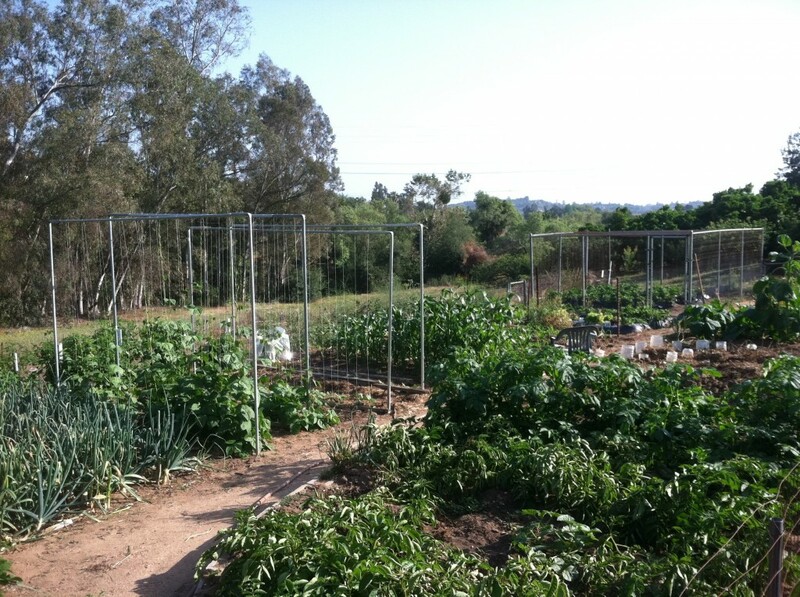 In the garden we have cucumbers, zucchinis, crookneck squash, garlic, and onions. Coming soon we will have tomatoes.